Johnny Marr has revealed that he’ll be hitting Liverpool’s Arts Club in March for a close-quarters warm-up gig for his huge upcoming gigs, Getintothis’ Patrick Clarke has all you need to know. With mammoth upcoming gigs at Manchester’s Albert Hall, and Hyde Park in his sights, Smiths legend Johnny Marr will be hitting the smaller confines of Liverpool’s Arts Club for a warm-up show on Wednesday March 25. The celebrated guitarist will be hitting Manchester just two days later for a show in aid of Teenage Cancer Trust, and will support The Who in June as part of British Summer Time. 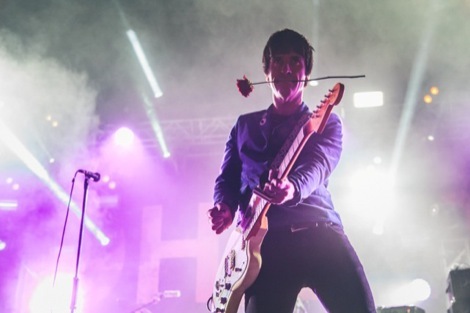 Marr was last in Liverpool in 2013 in the much grander surroundings of the O2 Academy, a show Getintothis’ Jamie Bowman called “a scintillating run to send Liverpool into delirium“. In a move reminiscent of Paul Weller‘s incendiary set in the same room last summer, Marr will bring the well-received sonics of his burgeoning solo-career to what’s sure to be just as memorable en evening. Most famously the lead guitarist of alternative legends The Smiths, Marr takes some of the finest of their many hits to his live sets, also armed with the choicest cuts from his burgeoning recent work – 2013’s The Messenger and last autumn’s Playland. 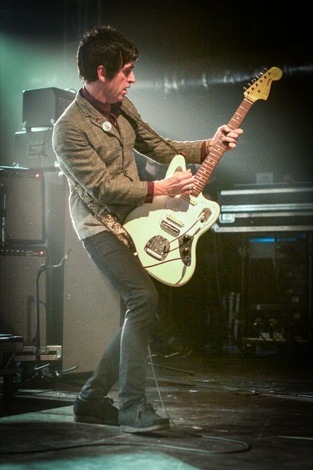 Marr has also found acclaim from his time with Wakefield heroes The Cribs, lending his talents to 2009’s much-acclaimed Ignore the Ignorant, as well as spells in The The, Modest Mouse and briefly with his own band The Healers. Tickets go on sale this Thursday February 5, 9am from Marr‘s official website, and will cost £20.